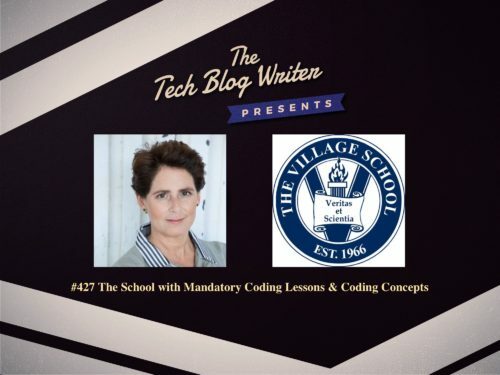 The Village School in Houston has mandatory coding for every single one of its middle school students and introduces coding concepts as early as preschool. At most schools, coding is an elective, but Village’s Head of School made a deliberate decision to put everyone through the course. They have adopted a forward-thinking approach that truly prepares kids to succeed in today’s world of AI and machine learning and for jobs that don’t even exist yet. The school realized that technology must be integrated into every part of their education for this to happen and how in today’s classroom, coding is just as crucial as teaching history. Houston is in line to create hundreds of thousands of STEM jobs in the coming years, but they won’t have the workers to fill them unless things change. Gabriella Rowe, Head of School at The Village School is changing that. The school also has a cool partnership with MIT that gives students real-world STEAM challenges to try and solve, for example, flooding in Houston, which became even more real when Harvey hit last year. Gabriella has 28 years in Educational Leadership, Strategic Management Consulting and Finance that have provided her with a broad base of experience from which she has derived a collaborative, information-driven leadership style that seeks to drive mission-focused organizational change while supporting the growth and development of the future leaders within the organization. I invited Gabriella onto the show to share her inspirational approach to education that is enabling students to use technology as a tool to solve real problems and make a difference.